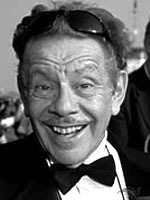 Jerry Stiller teamed with his wife in the comedy team Stiller and Meara. He has to love Ben Stiller. He is his father. Why would Himan Brown be inclined to cast an actor such as Jerry Stiller in an episode of the CBS Radio Mystery Theater? His wife, Ann Meara stars in one episode. She fit the role perfectly!